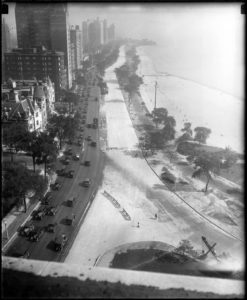 Lake Shore Drive, looking north from the Drake Hotel in 1927. 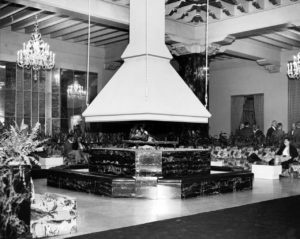 The lobby at the Drake Hotel in 1959. The Sapphire Suite at the Drake Hotel in 1959. 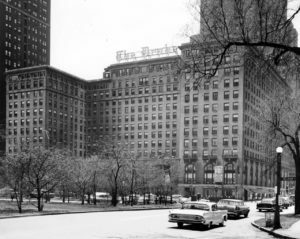 The Drayton hotel which is actually the Drake Hotel in Chicago is located at the top of the Magnificent Mile. 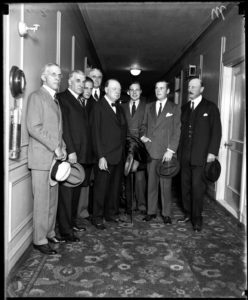 The Drake Hotel was built in 1920 by architect Benjamin Marshall and instantly became known know for the crowd it brought in such as royalty, people of high class, and even government officials. The setting in this book is during the 1920’s also known as the Harlem Renaissance so we, the readers are exposed to segregation. It seems Chicago is the South, where places like the Drayton Hotel don’t have a sign stating “No Coloreds” but heavily enforce that it is exclusively for Whites. In the early 20th century, besides the economy beginning to thrive and jobs being offered to a larger group, end of slavery, race remains one of the largeis still one of the largest issues. African Americans were excluded from cetrain places simply because of their color. Irene is scared to get caught not becuase she doesnt belong but because she knows being Black is undesired. Irene passing as white only to enter the Drayton Hotel speaks on race because it shows Blacks have no exclusivity. There is just jazz centers, bars, the streets, or in their own homes. 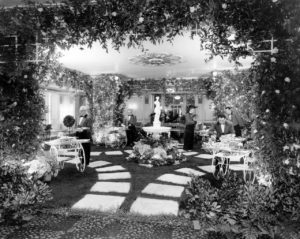 Whites have the luxury of hotels, dining halls, balls, luxurious places. Irene passes to see what the hype is about but just to pretend your white to get some peace and quiet and a cold drink of tea shows the seperation in race. Clare heoevr passes as a lifesyle choice, which is looked down upon because she is disowning her race, the skin God has given her, morals , and her dads side of the family. Irene passing just for some peace and quiet and to see what the hype is about can be seen as Irene passing as white in the Drayton Hotel demonstrates a mask; she is hiding her true self—her skin color.The masks that Irene and Clare portray are unique to what they are trying to hide. Both women demonstrate a conflict between themselves one on gender the other on class therefore they need that mask without people would see what is behind that mask—their true selves. Gloria Diaz in her article, “The Disguised Mask f Race, Gender, and Class” explains that Irene passing as white in the “Drayton Hotel demonstrates a mask; she is hiding her true self—her skin color” (Diaz 36). Lauren Elkin in “Flâneuse”, explains this idea of invisible boundaries , “certain neighborhoods, bars, restaurants, parks” places that seem like public spaces are reserved for different kind of people”(Elkin 287). Living in a society like this, you succumb to the division. You know you cannot be within the inner circle ( White Society ) so you begin to live outside of the places you aren’t granted access. This becomes an unconscious coping skill to live in their society. Elkin, Lauren. Flâneuse: Women Walk the City in Paris, New York, Tokyo, Venice and London. Farrar, Straus and Giroux, 2017.